The best tours in France are organised by my longtime friends, Denise and Jean Pierre Moullé. The week of hands on cooking in their home in a near by village while you’re staying here at La Forge and visits to Denise’s family chateaux as well as a tour of the Pays Basque staying in the family home of our basque friend François Bartabaru are all moments you’ll never forget. They have several other tours as well. Jean Pierre’s cooking has been savored for many years at Chez Panisse in Berkeley, and he’s extreemly generous with sharing it with their guests . Check their web site as the tours are limited in number and fill up quickly. Helen, who for several years was my alter ego with our What’s Cooking in France tours, has now become the expert on what’s happening in the area. Her blog in english will fill you in on what to do, what to see and where to go around Bordeaux, Entre Deux Mers and St Emilion. For those who want to discover Aquitaine’s local farm products and try out their French this is the site for you ! ENGLISH SPEAKING GUIDED TOURS LED BY A LICENSED, GOURMET, GUIDE…look for MUGET ! “There are places galore to taste the excellent produce of France, to discover the exquisite cuisine, and the many unexplored secrets, and to spoil yourself…where tourists are still welcomed with warmth and grace. All in French…bien sûr…. this blog will give you an idea of what the French have to say about their own cusine. Quand les métiers de la bouche rencontrent les métiers du corps…ils devient tous des métiers de l’esprit et de la gourmandise …. 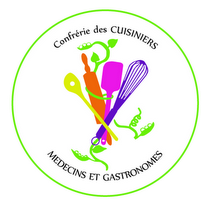 Des ateliers, conférences, visites et diners gourmands. Millie is an Australian photographer who has had a life long passion for travel. This passion and her love of the European lifestyle saw her move from Australia to France some 7 years ago. She took over my job at La Forge several years ago and hosted several of my guests while I was on a family vacation. For all of those who enjoy travel check out her blog and her wonderful photos ! culinary and wine tours with Sara Cossiga, another one of my guests who’s tours in and around Venise are in the same esprit as ours…she also can organise cooking classes, art history tours and find you the perfect B&B or hotel adress. AND FROM THE USA and further ! A great site to use on your smartphone or pad for yummy recipes to fill an on ligne, easily organized, recipe box. It helps make a quick shopping list with tips for how to choose and how to store your ingredients as well as it’s daily blog and videos to inspire all kinds of cooks. Run by our longtime friends from San Francisco, Sandy Hu and her son David this a fun and practical way to find new and quick food ideas…even when you’re in a hurry this is real cuisine with real food and real (and talented) people ! One of my former guests, Tony Chen, a native Beijinger runs “Stretch a Leg Travel” specialized in historical walking tours in Beijing, exploring off-the-beaten path sights, and hiking at the wild Great Wall. Like my tours Tony’s are completely tailored to each individual client with the uniquely authentic chance to experience China from the perspective of locals. Tony’s wife Charlene Wang went from being a human rights officer in the US foreign service to founding a premium tea company based in Béijing that is also a social enterprise which empowers women. 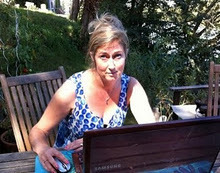 Check out her web site…and try her tea on a tranquil Tuesday…or any day.